And the 2011 winner is . . . Yoda! 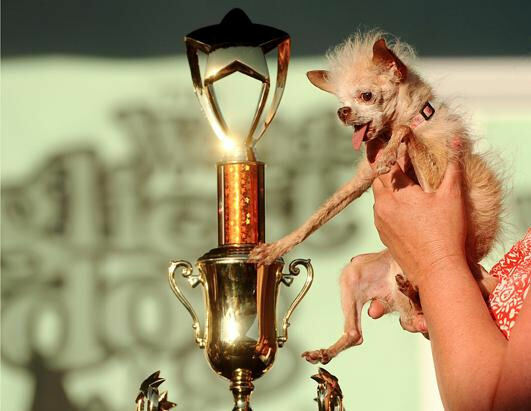 The 14-year-old Chinese crested and Chihuahua mix won the honour at the annual contest at the Sonoma Marin Fair. Owner Terry Schumacher of Hanford, California, says the 2lb (900-gram) dog has come a long way since she was found abandoned behind an apartment building. 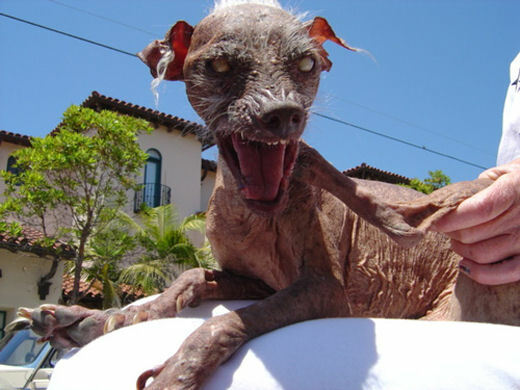 Ms Schumacher says she first thought the pooch was a rat. 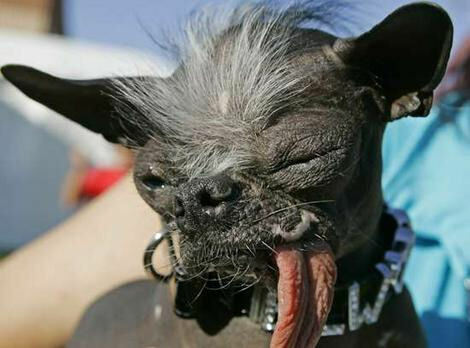 Congratulations to Yoda, but she may as well be Miss Universe compared to previous World’s Ugliest Dog winners like 2007’s Elwood . . .
. . . or three time champion Sam. 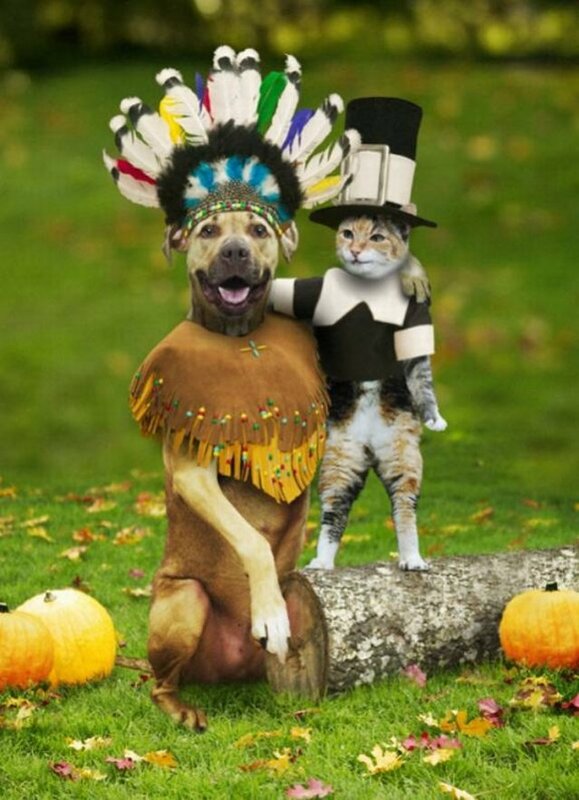 Hoo boy, them there dogs been beaten silly with the ugly stick!